There really is no hidden secret or special tricks to know of when speaking about keeping your car in proper working order. 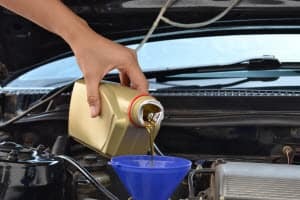 Routine maintenance checks provide the generous care your car and its systems need to ensure a long healthy life out on those Mission, Olathe, and Overland Park, KS and North Town, MO area roads. The automotive team at Volkswagen of Lee’s Summit, MO have compiled a comprehensive Volkswagen Tiguan Maintenance Schedule tailored to your vehicles’ specific recommendations below. Take a look so you can prepare for your vehicle’s major milestones and proper service checks. Several routine services are rendered on your Volkswagen Tiguan each time you accumulate 10,000-miles behind the wheel. The engine oil is changed as well as the wiper and headlamp cleaning fluids. A safety inspection is utilized including a visual air bag check to ensure continued on-road protection. All four tires are rotated, and the brake pads are checked for thickness and overall wear and tear. The same services your Tiguan received during its 10,000-mile check-up are offered during the 20,000-mile check. But this time, the tires receive a full inspection to measure tread depth and wear patterns to avoid a tear or leak. Also, the battery and brakes are inspected while particular attention is placed on finding any and all leaks if present. Lastly, the filter responsible for keeping the cabin air free of seasonal allergens like dust and pollen is replaced. Once you hit the 40,000-mile marker, a much more thorough service visit awaits your Volkswagen Tiguan. The in-depth examination will reveal any concerns or issues with any of your vehicle’s systems immediately to help keep the engine and other parts from future stress. The body is checked for corrosion and the constant velocity joints are monitored for leaks or damage, so your transmission can continue to pump power consistently throughout all four wheels and their axles. All lights are checked and replaced if needed and the power outlets, doors, and horn are all checked for efficiency as well. Be mindful each time you rack up another 10,000-miles with your Volkswagen Tiguan. Make sure to continue servicing your vehicle at the 50,000, 60,000, and 70,000 marks prior to the next major service appointment at the 80,000-mile mark, a replication of services listed at the 40,000-mile marker. The maintenance schedule continues every 10,000 miles and should be followed strictly as you climb towards quarter million miles behind the wheel of your favorite Volkswagen model. 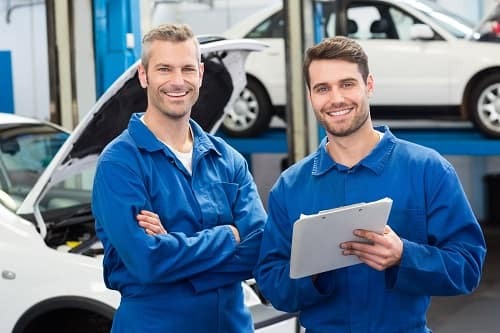 The staff at Volkswagen of Lee’s Summit, MO understand the importance of routine service checks and how pivotal they are to your vehicle’s continued health and well-being. We also understand life can be hectic at times and scheduling conflicts are bound to happen. Which is why we offer Volkswagen Service Xpress which allows you to bring you car in for routine checks without a prior appointment. In addition to that driver-friendly service, our team also offers a Volkswagen Care Program which provides prepaid scheduled maintenance for drivers throughout the Overland Park, Olathe, and Mission, KS and North Town, MO as well. Interested in learning more about your Volkswagen Tiguan Maintenance Schedule? Reach out today!